For Canadian housing starts, seasonally adjusted annual rates (SAAR) continued their upward trend. Overall, the Canadian Mortgage and Housing Corporation (CMHA) reported SAAR totalled 200,178 starts in May, which is up from 175,922 in April. 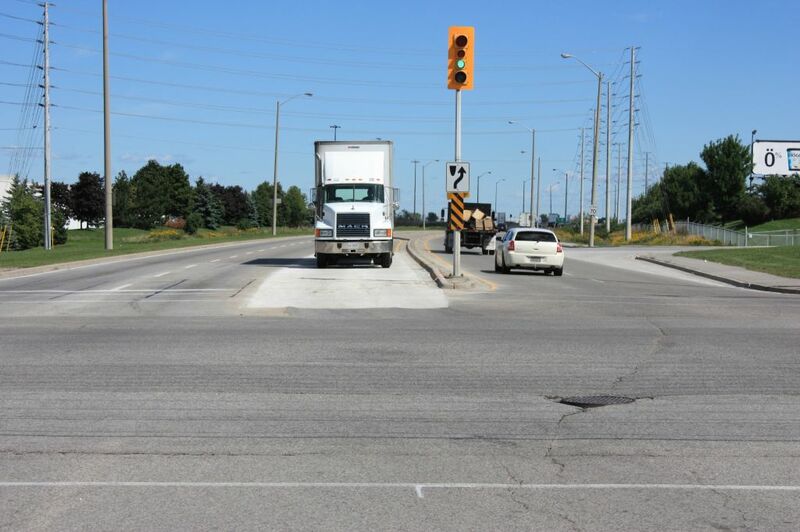 The Courtney Park and Kennedy Road turning lane improvement project earned the City of Mississauga a 2012 Ontario Concrete Award. Photos courtesy RMCAO. From institutional construction to sustainable developments, the best in Ontario’s concrete projects have been named. 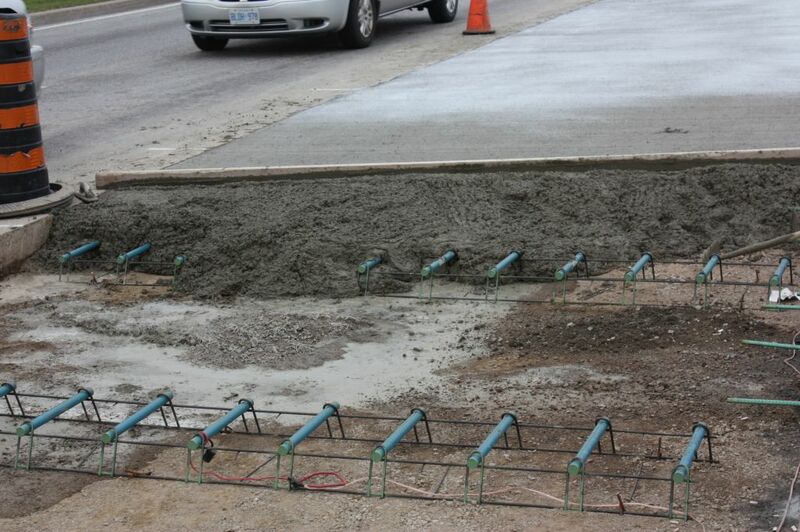 The winner of the 2012 Specialty Concrete Products, falling under the last category, was the City of Mississauga for its Courtney Park and Kennedy Road lane improvement. The project was able to repair a damaged 55-m (180-ft) concrete turning lane that had been previously repaired in 2007 and 2010 with asphalt. This year, the construction team chose to remove the asphalt and replace it with concrete. The project was completed quickly, which saved the longer traffic delays and increased labour costs. Brantford’s Whitemans Creek Bridge project. Submissions for the 2013 awards program are now being accepted. Information is available on RMCAO’s website, and awards will be distributed at the annual banquet held during the Concrete Canada tradeshow in Toronto late this year. The damaged asphalt was quickly restored with a concrete pour, saving the city on cost and shortening the amount of traffic delays in the area.